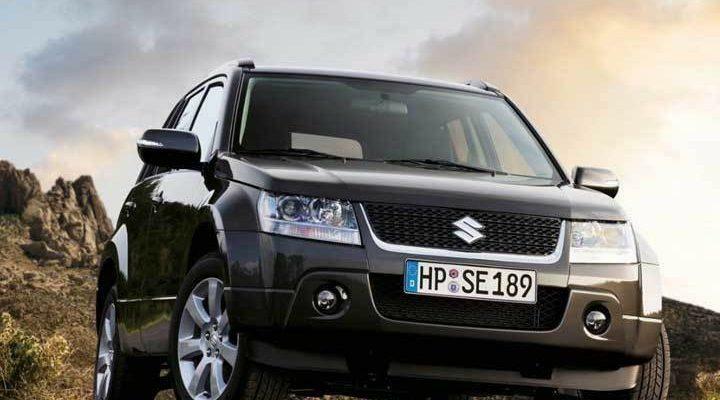 While most small crossover vehicles have moved in the direction of a more car-like suspension, Suzuki has chosen to keep the 2012 Grand Vitara with a truck-based architecture and off-road capabilities. While it lacks the styling and sophistication of most of the competition, it does stack up well against competitors like the Jeep Patriot. But that does put it in a limited segment and could explain why sales have been soft for the all-wheel-drive crossover. 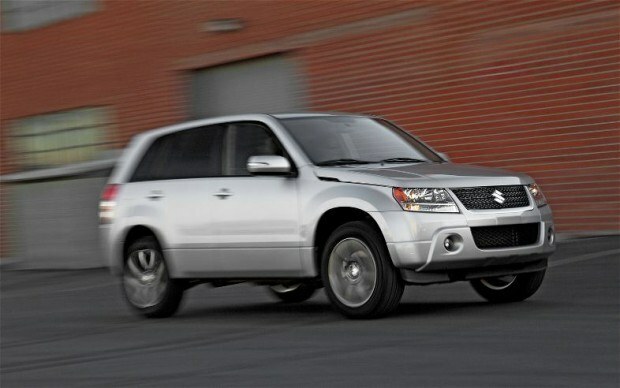 New for 2012, the Suzuki Grand Vitara gets a new trim level called Ultimate Adventure Edition. Also new is a tailgate design that eliminates the full-size spare tire from most models. While the new trim level suggests that the new Grand Vitara would be stump-jumping off-road beast, it really adds nothing more than a few nice features. The new Ultimate Adventure Edition adds 18-inch smoked alloy wheels, foglights, side view mirror turn signals, heated front seats, water-resistant tow-tone seat upholstery and a leather-wrapped steering wheel. I’m sure Land Rover is not too worried about losing to an all-out off-road competition. With a name like “Ultimate Adventure Edition,” it doesn’t seem all that adventurous. To the Grand Vitara’s credit, the ladder-frame structure integrated with the unibody lends considerable strength for towing and off-road pursuits. For those looking for a vehicle that will handle dirt roads, mountain trails or towing a trailer, the Suzuki Grand Vitara is a good choice. The new water-resistant seats will be easy to clean after a fun day on the off-road trail. And the fog-lights will come in handy for those unlit roads on the trail after dark. 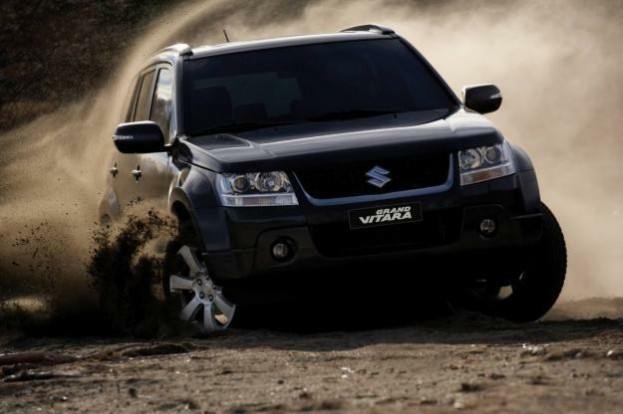 But in the city where most buyers drive their crossovers, the Grand Vitara has a stiff ride and unforgiving suspension. The 2012 Grand Vitara does offer plenty of standard features that are usually optional on many small crossovers. Those standard items include automatic climate control with microfilter and a navigation system. The voice-activated navigation also offers traffic info and weather, Google search (gas, ATM, food), and one year Garmin Nulink access. The Suzuki also offers a generous 7-year/100,000-mile powertrain warranty that helps distinguish itself. The 2012 Grand Vitara is powered by a 2.4-liter four-cylinder engine with 166 horsepower and 162 lb. ft. of torque. The Grand Vitara weighs 3,600 pounds and the small engine has a tough time moving all that weight with much authority. That could be the reason the small crossover gets only 19/23 city/highway fuel mileage. Suzuki has not updated the engine with the latest technology, and most automakers are dropping weight in order to increase fuel mileage. We know Suzuki can design an updated quality automobile, because they have done it with the new Kizashi. Suzuki needs to update the Grand Vitara drivetrain, but there are no plans for the Japanese automaker to do it anytime soon. The 2.4-liter engine is mated to a four-speed automatic that is antiquated compared to most five-speed automatics offered by the competition. Suzuki has not updated the drivetrain since 2009 and it shows. Rear-wheel drive is standard across the lineup, but four-wheel drive is offered on all trim levels except for the base model. Low-range gearing is only available on the Limited. The five-passenger interior of the 2012 Grand Vitara is attractive but the quality of materials is not up to the level of the competition. But this could be by design so that the all-wheel-drive vehicle that can be easily cleaned up after a long day of playing in the dirt. The cargo carrying ability of the grand Vitara is average and has 69 cubic feet of space with the 60/40 split rear seats folded flat. The Grand Vitara Ultimate Adventure Edition has an attractive price of $23,949 including destination. 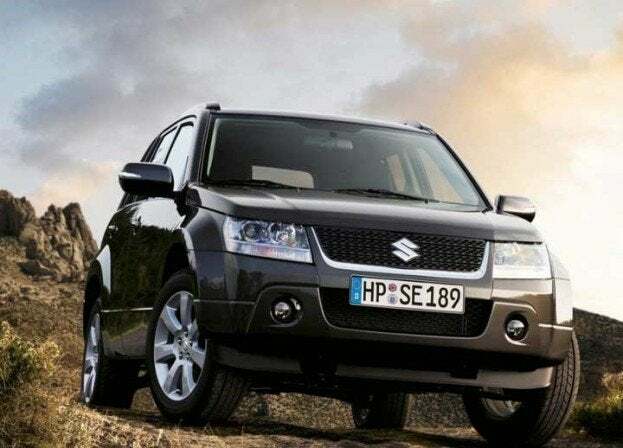 For the family looking for an off-road capable crossover with plenty of standard features included, the 2012 Suzuki Grand Vitara is a good alternative to some of the more expensive small crossovers. 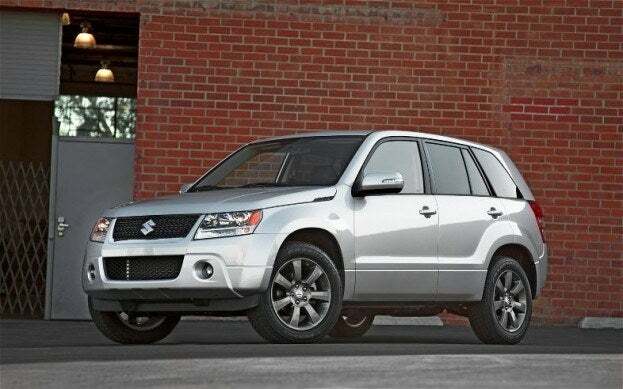 No Comments on "2012 Suzuki Grand Vitara Ultimate Adventure Edition Review"